Winter months bring an array of recreational activities, including snowball fights, sledding and ice skating. 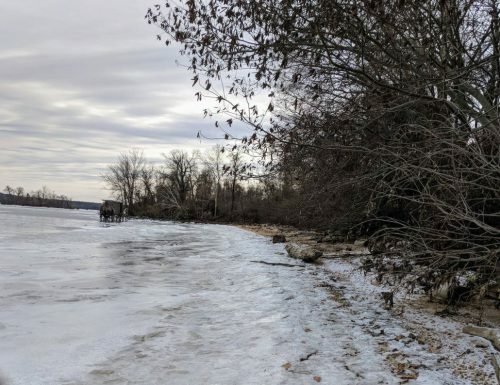 Emergency personnel are encouraging members of the public to avoid walking or participating in those activities on frozen ponds, streams and other water sources. Ice that’s formed in the Prince William County area isn’t usually thick enough for outdoor activities, such as ice skating. It can also melt and break four times more quickly than it forms, according to a release from the Prince William County Department of Fire and Rescue (PWCDFR). People and animals can develop severe hypothermia within 10 minutes of falling through ice. Anyone seen standing on icy waters should be asked to get off. “Ice recreation is best sought on skating rinks, pavilions, or other locations specifically designed for that purpose, and not the dangerous, naturally occurring ice that forms on area waters,” Chief Tim Keen said in a release. Those who see an individual fall through ice should call 911 and provide them with a floatable object. They shouldn’t go on the ice or try to rescue them.